Chiropractic, Spinal Decompression and the Graston technique-Fix your back for good! Fix your back for good. and he brought an article to my attention that was in a magazine in our waiting room. I read it and the information is pretty much on point. 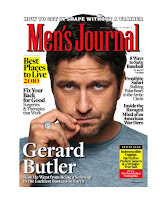 Go out and pick up the April issue of the Men's Journal. No other common injury affects your quality of life like a bad back. But because it bears so much of the weight of everyday life, the back is one of the easiest parts of your body to injure. With more than 140 individual muscles and 33 individual bones - not to mention the most important nerves in your anatomy 0 it’s complex, making injuries frustratingly hard to diagnose and treat. Thus, 80 percent of all adults experience back pain of some kind or another during their lives, causing 5 million people to see a doctor each year for back issues in the U.S. But here’s the good news: More than 90 percent of back problems can be resolved without surgery. In most cases, you ca care for the pain on your own by using anti-inflammatories, icing the affected area, and taking a short break from normal activity. But you do need to know what’s ailing you. The first step is figuring out if you have a muscle, disc, or joint problem. Having an idea of what’s wrong before you even set foot in a doctor’s office could make all the difference. If you do need to see a doctor, there are plenty of noninvasive tactics your physician can prescribe to alleviate the pain, from certain exercises and stretches to massage. And if you end up needing to go under the knife, your future isn’t necessarily bleak. From microdiscectomies to artificial disc replacements, the techniques are constantly getting better and less invasive. But as with any injury, the key is prevention, and here you’ll find the essential exercises and gear you need to help keep your back healthy. A back strain encompasses anything from overstretching to the complete tearing of the muscle fibers. I can happen to any of the back’s large muscles, including the lats, traps, and obliques, as well as the smaller muscles that connect to the spine, helping support your weight and allowing you to move. Injuries to muscles in the hips and glutes can also cause back pain: When they spasm, they can pull on your spine. Muscle strains can happen to a perfectly healthy person with good flexibility and muscle symmetry - any sort of abrupt or awkward movement, from serving a tennis ball to leaning over in a strange positions, can cause an injury. But those who have muscle asymmetries (abdomen muscles that are much stronger than back muscles, for instance) are more likely to injure their backs due to the fact that larger muscles will pull the smaller, weaker muscles into an unnatural position. In addition, people who don’t drink enough water will lose muscle elasticity and become more injury prone; so will those who do not properly warm up and stretch prior to exercise. In any case, pain from an injured muscle can be accompanied by bruising, swelling, or a palpable knot under the skin. The pain, which might be dull, achy, or throbbing, usually feels like it’s deep in your body, but it usually does not travel to your arms and legs. Muscle injuries usually respond well to anti-inflammatories like Advil. With muscle pain, it can be tempting to stay in bed, but try not to: Restricting your movement for more than a day or two can actually slow down healing. Even the most debilitating pain should resolve itself in 10 days,” says Drew Demann, director of services at Manhattan Spine and Sports Therapy. “If it hasn’t, you need to see a doctor, who could prescribe Graston technique or active release techniques”. AT RISK: Anyone who sits for long periods of time. First of all, there’s no such thing as a slipped disc. that’s just a layperson’s term for a bulging or herniated disc. A bulging disc happens when the spongy inside presses against the disc wall (the annulus), causing it to bulge and push on a nerve. a herniated disc means the spongy inside pushes through the annulus, which usually impinges on nerves even more. Discs can naturally degenerate over time, making these types of problems most prevalent in people ages 30 to 50. Once the annulus becomes weak, it’s less effective in containing the cushioning. Then it just takes a smaller trigger - a cough, leaning over to pick something up, getting out of the car (or, of course, something bigger, like an abrupt move in sports) - to cause a bulge or herniation. If a mildly bulging or herniated disc isn’t hitting a nerve, it’s not usually an issue. But when it is, it can cause a lot of pain. Pain from either problem can be present for a long period of time and does not always respond well to anti-inflammatories. If this is the case, patients need to see a doctor as soon as possible and have an MRI done to find out exactly what the problem is. It’s the same thing a chiropractor tries to achieve manually: A spinal decompression machine pulls your spine lengthwise with very precise and powerful amounts of force to stretch tight muscles and take pressure off your discs. the core of a typical disc is highly pressurized (think of a well-inflated car tire). By pulling on your spine, a spinal decompression table can dramatically reduce that pressure, encouraging the periphery of the disc to retract inward, drawing the nucleus of the disc back toward the center and pulling fresh blood and fluid into the area, which can reduce inflammation that might be pushing on a nerve. 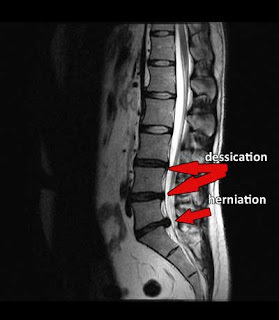 Removal of part of the disc that’s pushing against your nerve. Best for those whose bulging or herniated disc is hitting a nerve. Replacement of the disc with a synthetic one. Best for younger people willing to take a chance on new technology. Back joints are vulnerable to arthritis, strains, and sprains. AT RISK: Older people and those who play sports that involve twisting. Most joint problems in the back are related to arthritis, and as such tend to show up in older people, but sacroiliac joint dysfunction is an exception. Unfortunately, doctors don’t seem to know exactly what causes it, but they know exactly what causes it, but they do know it’s an irritation in the sacroiliac joint, which connects the base of the spine to the pelvis. Pain usually occurs on one side of the lower back, but it cal also affect the buttocks. There’s no imaging test for sacroiliac joint dysfunction, so it’s usually diagnosed by manually pressing on the joint to see if there’s pain or injecting a painkiller into the specific area to determine if that’s where the discomfort originates. It tends to go away and never requires surgery. Facets are the joints that stabilize the spine, and they can become arthritic, causing pain that tends to hurt more when your arch backward. Bad posture, trauma (like whiplash from a car accident), and repeated twisting motions, such as swinging a golf club, can also irritate facets. Facet joint syndrome usually occurs in the neck or lower back and can also cause pain in the buttocks and shoulders. Doctors usually prescribe a conservative mixture of anti-inflammatories, steroid injections, and physical therapy. If those don’t work, surgical options include radiofrequency neurotomy, where a surgeon inserts an electrode into your back and uses an electric current to actually destroy the facet’s nerves. This was a very informative article that validated a multi-disciplinary approach to treating and preventing back pain. We accept most PPO plans and offer late evenings and Saturdays. Call us today at (212) 645-8151. Doctors of chiropractic practice a non-invasive, drug-free medical profession.